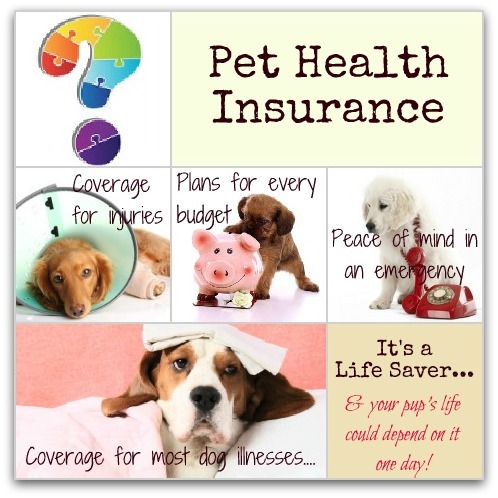 Are you having trouble choosing the best dog insurance health plan for your pooch? Well, I can guarantee you're not alone because I recently had the same problem. Not to mention, that thousands of other pet owners face the same dilemma every day. I've spent a LOT of time researching different pet insurance companies, reading the fine print in their policies, and deciphering the terms and 'jargon' that peppers their websites. Now, I'm going to share what I've learned with you so that you get a 'running start' by taking a closer look at, and comparing, some affordable pet insurance options so that you can see how they work and find out what you get for your money. Although more and more owners are recognizing the benefits of getting their pets covered by a good health insurance plan, many still see this is an 'optional extra' or a luxury. But, given the rising cost of veterinary care and the amount of money that we spend on our four-legged family members every year, the benefits far outweigh the small monthly premium. In fact, as a dog owner it's an essential part of your responsibility because your pet is relying on you to keep him healthy and safe, and you don't want to let him down. Click here to find out why you really can't afford NOT to have a dog health insurance plan in place! Unfortunately, deciding which dog health insurance plan is the best one for your pet isn't as easy as looking for the lowest premium or highest payout limit. There are so many factors to consider, and policies can vary so much, that you'll need to devote at least a little time and effort to figuring out which one/s matches your needs and budget most closely. How old is your puppy or dog? He may be too old for certain companies to cover for example. Also, older dogs usually have different health needs - they are more prone to suffer from chronic, hereditary or degenerative illnesses, so a cover that includes these would be best. 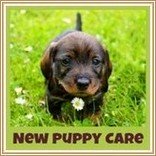 Healthy puppies who are fully vaccinated (especially mixed breeds who are generally more robust and don't suffer from as many hereditary conditions) and who have routine wellness checks might be able to manage with just accident cover, but of course youth is no guaranteed protection from illness. But if budget constraints are a huge priority this is an option. What type of hereditary conditions may he develop? If he's a Rottweiler, GSD or Labrador Retriever for instance, you probably want to look at a company that offers coverage for hip dysplasia. Rotties are also prone to cancers and arthritis, Labradors can be prone to diabetes. Small breeds may suffer from luxating patellas, vertebrae problems and eye conditions, every pure breed has it's own issues too. So think about this as it applies to your pup's breed and make sure your policy doesn't exclude potential problem areas. Deductible - per year or per incident? Some companies have a fixed annual deductible, others a fixed deductible per incident. If you choose a policy that has a $100 deductible per incident the insurance will kick in after the first $100 payment you make on each individual incident's bill (if your pup has two claims during the year, then your deductible is going to be $200 for that year). If your deductible is $500 per year, then you are going to be responsible for paying his vet bills in full for each incident until you hit that $500 mark, then the insurance will take over. But also remember, if your pup's first major medical issue has total vet charges of more than $500, any future incidents will not have a deductible to be paid. You'll only be responsible for the co-pay, the rest will be reimbursed. Also realize that often the higher the deductible is, the lower the monthly premiums are. Depending on the company/policy you choose there may be a limit to the amount you're entitled to claim per incident, per year, or even over the lifetime of your dog. Once those limits are reached any remaining or future fees are your full responsibility. 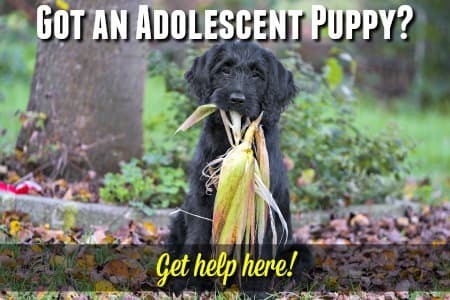 If you have a young pup, you probably don't want a lifetime limit because that could be 12 - 15 years (or even more) from the time you sign up. If possible NO limits at all is preferable, but obviously you have to balance that against the other terms and conditions of the policy you're looking at. Is the payout based on the actual vet bill or a benefit schedule? 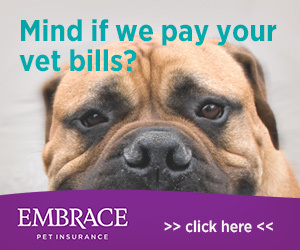 Some companies will pay a straight percentage of the actual veterinary charges that appear on your bill, others have a 'Benefit Schedule' to work from. This means that there's a preset maximum $$ amount allocated for particular conditions/injuries etc. and that's what your reimbursement will be calculated against, not your actual bill. Obviously that means that the real-life payout may not be the percentage of your bill that you were expecting. Pet health insurance policies can be affected by the state you live in, and the cost of veterinary care varies from region to region. If you live in a big city such as New York or Los Angeles, chances are your vet bills are going to be higher than those of pet owners living in rural areas, particularly in the Midwest and Central region of the US. There are many more things to think about when you want to be sure and choose the very best dog insurance plan possible, but this gives you a jumping-off point. 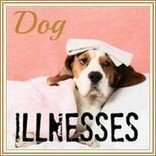 'Pet Dog Health Insurance Questions'. Repairing something as relatively simple as your dog's broken leg could cost anywhere from $2,000 to $5,000 depending on the degree of damage, size of your dog etc. The surgery itself may be quite a bit less than this figure, but there are X-rays, anesthesia, pre-op bloodwork, monitoring post-op, pain-killers etc. added in. Major conditions such as diabetes, cancer, cruciate-ligament injuries, hip-dysplasia surgery, hyperthyroidism, luxating patellas, leukemia and more often cost thousands upon thousands of dollars. Especially when they're chronic conditions. 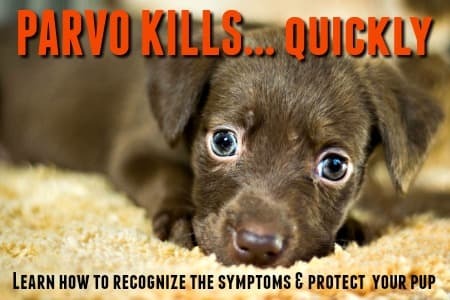 From personal experience I can also tell you that it can cost around $3,000 or more to treat (and if you're lucky, save) your puppy if he contracts Parvo. Removing porcupine quills from his face could set you back $600 (yes, really!). Even fairly minor infections or procedures are rarely less than several hundred dollars. Most of us besotted dog owners don't think twice about buying the best dog food for our pet.. or a luxury dog bed, the best, most expensive toys and treats and so much more. 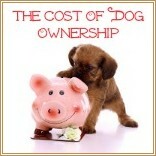 However, the concept of spending money on dog medical insurance doesn't always seem so important. You might even think it's a waste of money. BUT I really hope that the information and advice I've put together has helped to show you just how important it is to make sure your pooch is covered by a pet insurance policy. It's really not a luxury but a necessity! The best dog insurance doesn't have to break the bank, and there are some affordable options which could literally save your dog's life one day! Not to mention protect your savings or credit card debt, and ensure that you don't ever have to make a life-or-death decision involving your dog's health based on finances alone.